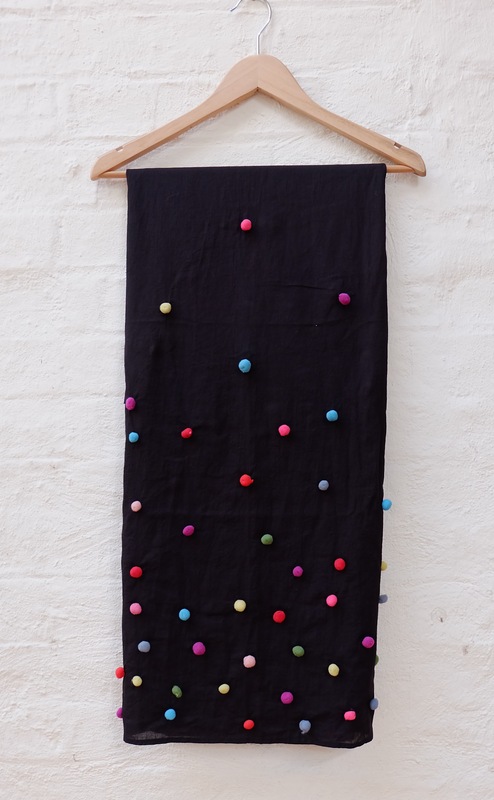 Lightweight organic cotton voile scarf with scattered pom-pom embellishment. The Kin ‘Confetti Shawl’ is a soft and versatile accessory measuring 215 cm X 100 cm. 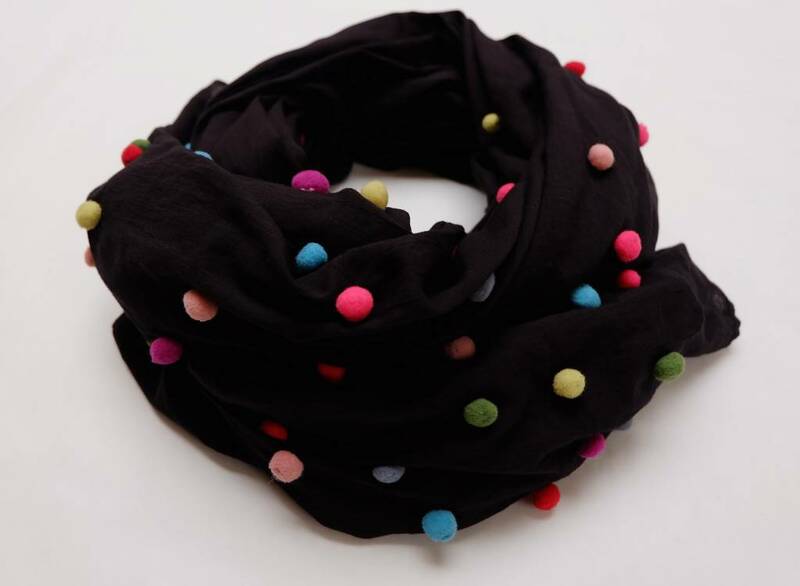 Colourways: Black + multicolour pom- pom confetti. Hang or lay flat to dry, and warm iron inside out. Dry cleanable.